The F1 circus’ arrival to Barcelona for the Spanish Grand Prix kicked off the European leg of the 21-race 2016 season. Despite limited changes in regulations for this year, the first four races had already hinted it would not simply be a continuation of 2015, bringing so far a set of unexpected results – with the biggest surprise to arrive at the Circuit de Catalunya. Here’s some of the myths about the 2016 season that have been dismissed – or confirmed – so far. There’s no doubt the Silver Arrows remain in the class of their own, and only a technical failure on their cars renders a grid reshuffle… Unless they decide to take each other out, that is. The difference this year is that, so far, it was the “other” Mercedes driver that’s been collecting all the laurels this season; before arriving to Barcelona Nico Rosberg had a clean streak of wins for 2016 – seemingly carried by a momentum he picked up at the end of last year, winning all of the remaining races of 2015 just after losing the title battle to his team-mate Lewis Hamilton in Austin. Arriving to Spain, the German was looking to secure his eight consecutive victory. Seeing that last year’s USGP was Hamilton’s last 25-point scoring finish, some people suggested he had given up, settling down for three career titles; but considerably more people believed in a Mercedes conspiracy, whereby the team was sabotaging the Brit’s efforts to hand this year’s title to Nico – making it a perfect German championship. The rumours were spurred by the fact that Hamilton had struggled with the setup and reliability on his car since the start of the season, most notably in Russia – starting with a power unit failure in the last stage of qualifying, followed by a water pressure problem during the race (which he still finished second, behind Rosberg). Little notice was given to the fact that the Brit has been struggling with starts off the line, ever since the new regulations banned any instructions from the team to the driver on the best car setup for the perfect launch at the lights – where, to the contrary, Rosberg performed impeccably so far this season. The conspiracy theory spiralled so far out of hand, that Mercedes decided to take to social media, issuing an open letter to their fans, describing the blood, sweat and tears that go into making every race weekend a success, and explaining their duty to give both drivers the best winning opportunity. 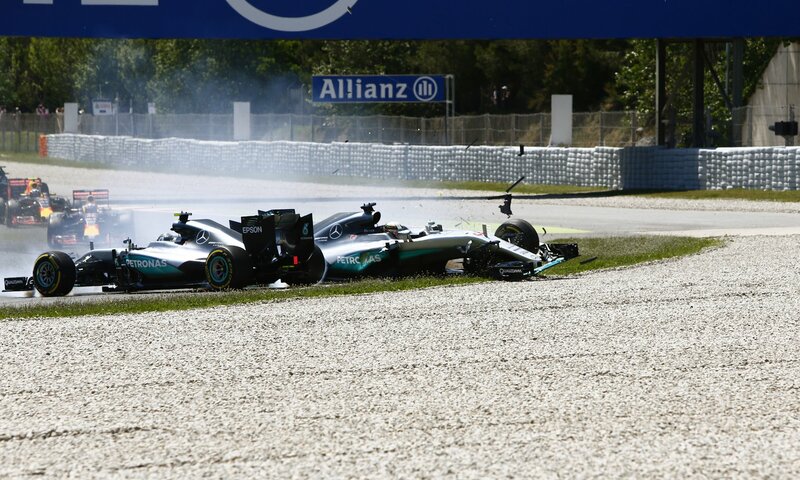 This was the first time the new-era Mercedes took each other out in the race, so the fallout from the Spanish GP is hard to predict. The letter was the backdrop to the first 2016 grand prix in Europe where, after missing out to his team-mate throughout all practice sessions, Hamilton snatched the top spot in qualifying, suggesting a return to his winning form. It certainly seemed that way when he set off to a faultless start on Sunday… but not for long as he was overtaken by his team-mate on the first corner. Having developed a taste for victory, Rosberg was not going to hand this one to his biggest rival, and so, when the Brit tried to reclaim the position, a quick sequence of events sent them both crashing out of the race on lap one. 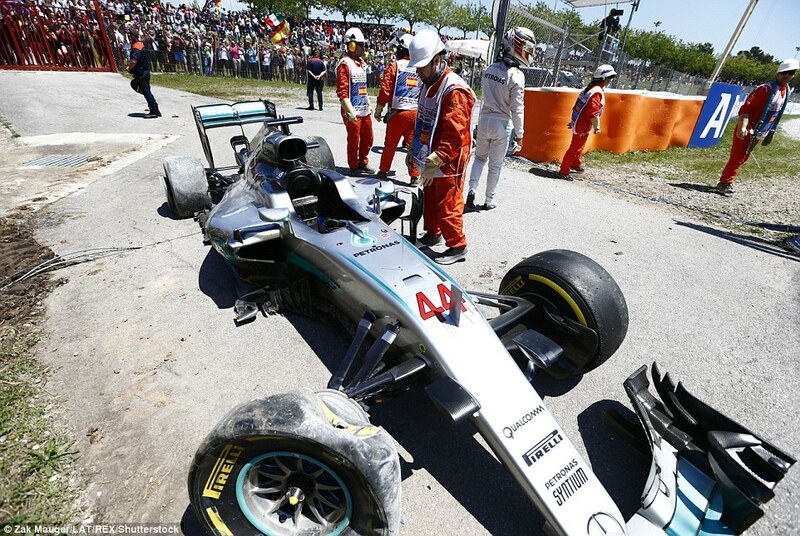 “Firstly, I want to make an apology to all of our team,” Hamilton said after the stewards had deemed the crash a racing incident, with no penalties due for either driver – despite some big names of the sport (most notably Mercedes’ non-exec Niki Lauda and three-time title holder Sir Jackie Stewart) placing the blame on the Brit. “When I stopped my heart just sank because there’s 1300-odd people in our team who all work so hard for us to be here. All suggesting that although the Silver Arrows might still lead the pack, there’s more snags in the works this year to smooth out. As the only consistent podium claimers of 2015 outside Mercedes – and growing from strength to strength throughout the season – Ferrari were punted to truly challenge the Silver Arrows for the title this year. However, less-than-perfect start to the season, including a collision between the two Prancing Horses in China, as well as reliability issues (with Sebastian Vettel missing out on the Bahrain GP completely due to an engine failure), put the expected 2016 Mercedes-Ferrari battle into doubt. It’s not been an easy start to the season for Vettel, particularly when struck out of the a GP in a double-rear-whammy from Kvyat (pictured in Russia). Truth be told, some unfortunate on-track events contributed to this picture, which ever-vocal Vettel was keen to point out; an aggressive drive by Red Bull’s Daniil Kvyat enraged the German in the Chinese Grand Prix, where the collision between the team-mates was caused by Vettel taking avoiding action from the young Russian. With both taking the podium that afternoon, Vettel had some strong words to say to Kvyat, whose third-place finish was Red Bull’s first podium of the season. Matters were only made worse at Kvyat’s home race two weekends later, where the Russian hit Vettel not once, but twice, ending the German’s afternoon on the first lap. The former champion didn’t measure his words on the team radio at the time of his misfortune, making for some entertaining piece of audio; but – in the end – it was a terrible finale for Kvyat, who lost his drive at Red Bull the following week. Forever behind: Ferrari are struggling to get on the top podium spot in a year that was meant to be theirs. However, as it turned out in Barcelona, this decision did not help Ferrari – quite the opposite in fact – as, with their new “signing”, Red Bull took an unexpected win at the Spanish Grand Prix, leaving the Prancing Horse having to settle for the lower podium spots once again – even with Mercedes out of the picture. Despite the unlucky streak, Ferrari are still strongly placed in the standings and – for what it’s worth – a step closer to the drivers’ title, with Raikkonen currently splitting the two Silver Arrows; and yet, seeing that Mercedes don’t tend to make the same mistake twice, and in the light of surprise emergence of Red Bull (and upcoming engine upgrades introduced by Renault), it’s difficult to bet any money on Ferrari returning to their championship days this season. Known for their unconventional approach, it was still a bit of a surprise when in 2015 Red Bull promoted their junior team’s Daniil Kvyat, to fill the void of departed champion Sebastian Vettel, and then restocking Toro Rosso with two rookies, including Formula 1’s youngest ever driver, Max Verstappen (who, by the way, secured his regular driving licence in the course of that season when he turned 18). For Red Bull it seemed like the right decision, as newbie Kvyat impressed in his first year, ultimately outscoring his more experienced team-mate Daniel Ricciardo by three points. Barcelona was a tough weekend for Kvyat who was still getting over the brutal demotion – made harder by his red Bull replacement winning the race. 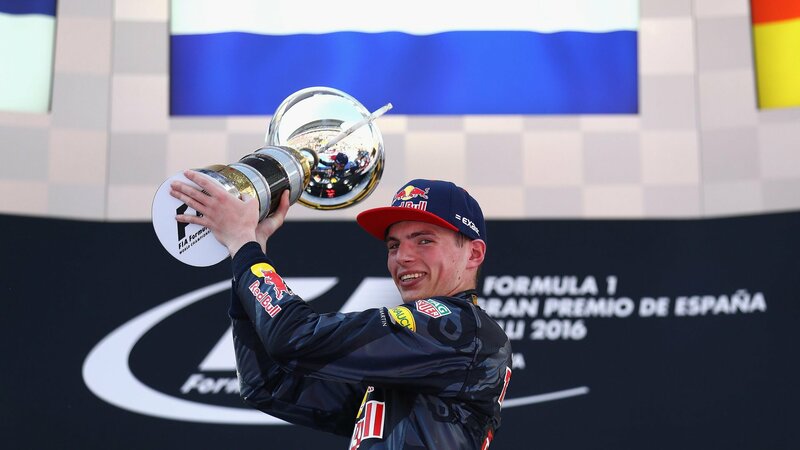 This trend seemed to continue in 2016 when – off the back of the team’s poor overall performance – Kvyat’s brave (or some would say, maverick) driving granted Red Bull its first podium of the year, in China. The magic was not to continue though, as the home grand prix was to be the Russian’s last on the A team for the time being – due to a double collision with Ferrari’s Vettel, which also directly led to Ricciardo picking up some damage, compromising his race. “It cost us the race really. It’s a shame. I expect an apology, put it that way,” the Aussie said after the race in Sochi with a peculiar lack of his signature smile. “He owes it to a few people today,” he added. 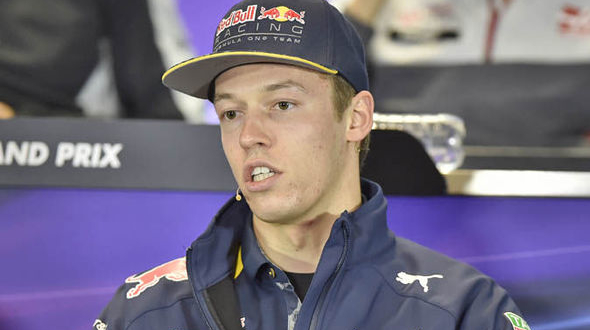 A few days later Red Bull announced a driver swap, demoting Kvyat to his old team Toro Rosso, in favour of Verstappen. “There was no real explanation,” the Russian revealed when quizzed by the press in Spain. 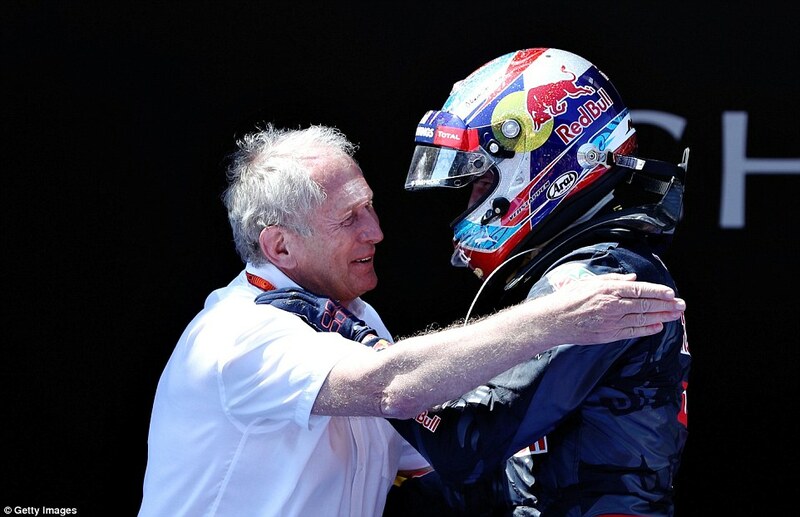 The stellar debut performance shocked everyone – not least Red Bull themselves, and the man behind Verstappen’s promotion, Helmut Marko. The decision fired up the F1 world with comments on Red Bull’s hard-handed internal politics and the team’s shortsightedness, in the face of a recent podium finish by the Russian. Promoting Verstappen was also seen as a huge gamble, seeing his inexperience (the Dutchman rocketed from karting to one of the top F1 teams in the space of three years) as well as his fearless driving style. And yet, the gamble paid off – although not even Red Bull could have predicted what happened. 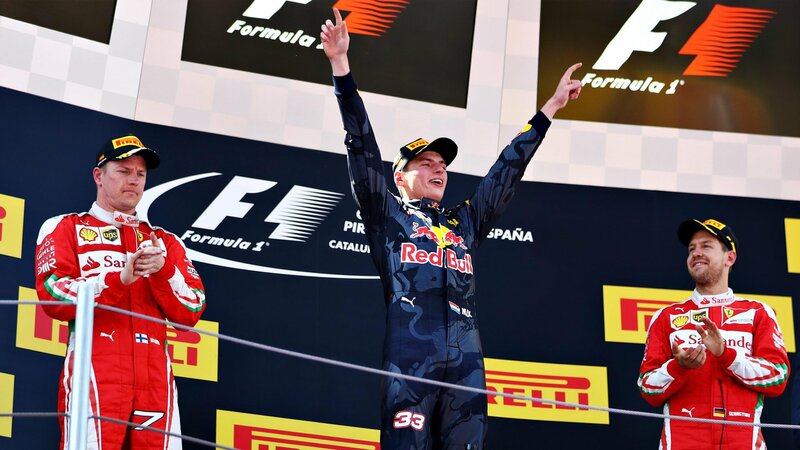 After Mercedes’ untimely departure, Verstappen capitalised on his great performance in qualifying as well as a favourable tyre strategy to claim the chequered flag in a faultless performance – despite being hunted down by former champions in their Ferraris for the majority of the race. This has made him the youngest race winner in the sport’s history (taking this record away from Vettel, no less) – and the first Dutchman to take the trophy. Of course, the season is still young and plenty can change – who knows, Verstappen might crumble under the weight of his success, and Kvyat might even be making a comeback – but at this point it has to be given to Red Bull: they might seem ruthless, but it’s paying off. 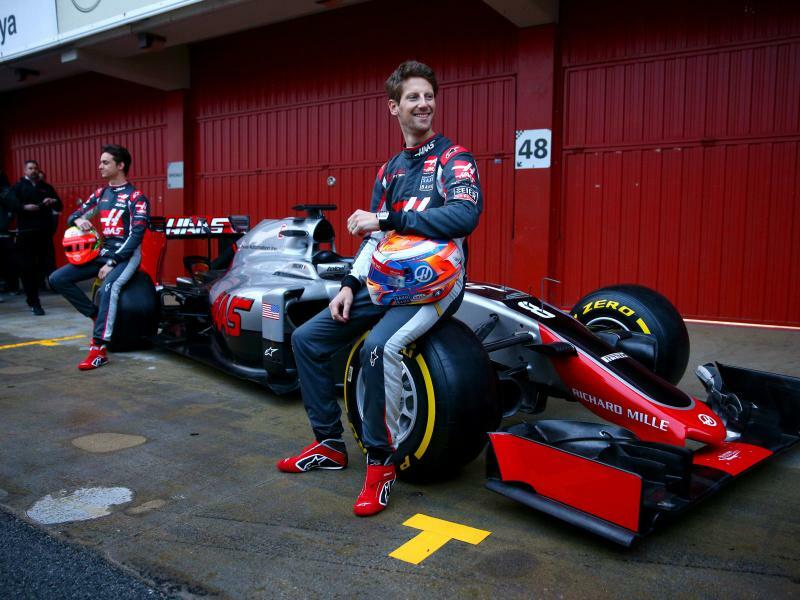 The biggest question mark ahead of the season hung over the complete newcomer to the sport: the Haas F1 Team. Taking as a base case the terrible progress of McLaren since taking on the Honda engines upon the Japanese manufacturer’s return to the sport, it was assumed Haas – NASCAR-veterans but F1 novices – would follow a similar path; however, that was not the case. Grosjean’s signing for newcomer Haas seemed like a gamble – but seeing Renault’s struggles this year, it was probably the right move. In fact, the team had a phenomenal start to the season – or at least in part – with their lead driver Romain Grosjean finishing 6. and 5. respectively in the first two races, making the team the first American constructor to score points in the sport, and the first team since 2002 (Toyota Racing) to record a top-ten finish on their F1 debut. Sadly, Grosjean’s team-mate Gutierrez dampened the early celebrations when he got caught up in contact with Fernando Alonso, who crashed out of the Australian race in dramatic fashion; and then a break failure cut his Bahrain afternoon short after nine laps. Since then it didn’t get much better, as Gutierrez so far remained outside the points, while Grosjean experienced his first retirement of the season in Barcelona due to a technical fault, after challenging in the top 10 again – so the jury’s still out on how the team will fare going forward. Talking of McLaren, unsurprisingly, no miracles happened in their garage over the winter break, but the car is visibly performing better this season – so much so, that the team now has 12 points behind their belts, including their best result in Russia with Alonso’s 6. place finish, and Jenson Button’s 10. and 9. finishes in the last two races. Despite their first top-10 qualifying time in Barcelona, clocked by Alonso, the Spaniard did not go onto deliver a home crowd pleaser, having to retire from the race early due to loss of power. “I’m very sad. Obviously it was a big opportunity, especially with the Mercs out of the race,” Alonso said. “We’re not happy with the reliability yet. 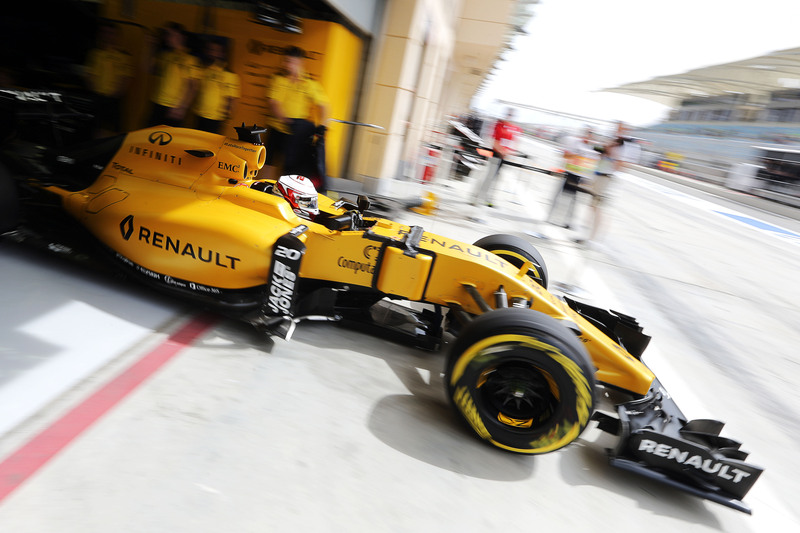 There’s little to cheer about for Magnussen, whose new team upon his return to the sport is performing worse than the one that cut him short. The other “newcomer” team on the 2016 grid is Renault, who took over the Lotus outfit in the continuation of an ever-lasting saga of buyouts. Sadly, the bright yellow has done nothing to brighten up the team’s future, with only 6 points on their tally thanks to ex-McLaren Kevin Magnussen’s 6. place finish in Russia, and no points so far from rookie Brit’s Jolyon Palmer’s drive. So, if you consider the constructors’ standings, where these more experienced teams and even Force India fall short of Haas’ 22 points so far, it shows that new arrivals to F1 are not automatically doomed to fail… and that McLaren might have partnered with the wrong engine supplier for the long-term. Opening the door to Haas was one way of mixing it all up on the grid – but it was not enough in the eyes of the sport’s governing body. The FIA decided to address the complaints of 2015 about the reduced participation in qualifying, particularly of those drivers who knew a grid penalty would demote them on race day anyway – and two weeks before the start of the current season it changed the session’s format. 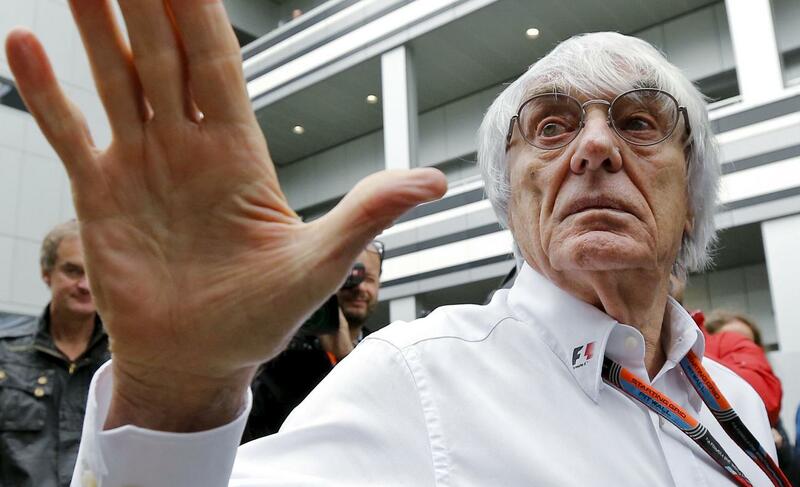 Even though Ecclestone slammed the elimination qualifying as “crap” the FIA decided to give it another go before agreeing with that opinion. The elimination-system retained the three stages of qualifying, but saw the slowest driver eliminated at regular time intervals until the chequered flag. Trialled in Australia, the format was widely criticised by the teams, as well as the fans – although it increased the excitement in the first two stages, in Q3 there were virtually no cars left on the grid for the better part of the session. Despite that, the FIA decided to test out the system once more in Bahrain – to the outrage of the F1 world. Thankfully, after the second trial, the new format was dropped. For next year, though, FIA has more goodies in stock to spice up the game, and the teams are already hard at work to meet the new planned regulations. Among these, there’s the engine equalisation (targeting a lap time disparity of 0.3secs on a reference circuit between the different make engines, as well as increased engine noise for better effect), more durable tyres, and “lower, longer, wider” cars for faster racing. 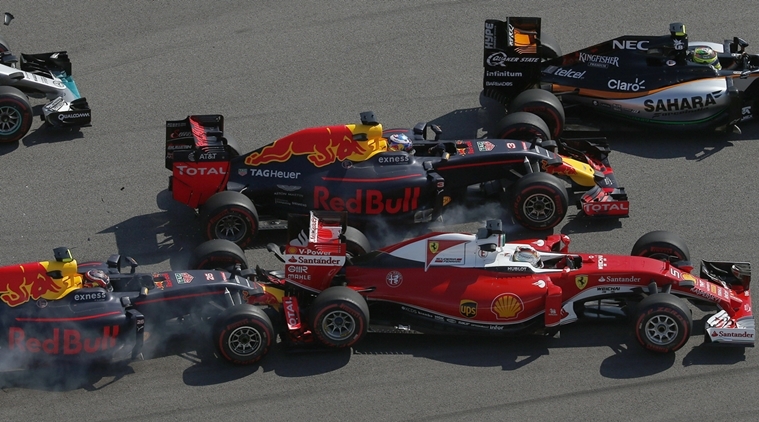 In theory, it all sounds promising for the viewers – even if at the cost of the sport breaking its own principles (since more efficient hybrid engines meant reduced emissions, which led to reduced noise…); but, as the 2014 season showed us, not all that sounds promising results in an engaging race – albeit, certainly a spectacle. But before we get there, another 16 races of the current season await; and although some of the uncertainties around this year’s show have now been clarified, Barcelona stands as a prime example that in F1 a new surprise always lurks somewhere around the corner – quite literally. Have we missed anything? Get in touch and let us know!